Picture this: Your favorite song is playing, and your friends and family are gathered around the picnic table. You're having a barbecue, and enjoying a savory feast fit for a king. The setting? 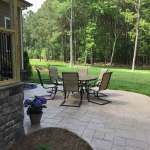 It's your brand new backyard concrete patio, of course -- and it's absolutely stunning. The best part? The friends and family you've invited to the party have no idea how cheap you got the work done. 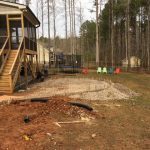 What's more important to them is the comfortable, cozy ambience you've created in your fabulous new backyard gathering spot. One of the hottest trends in America right now is backyard entertaining -- and concrete patios give you an affordable, easy way to get in on this trend. 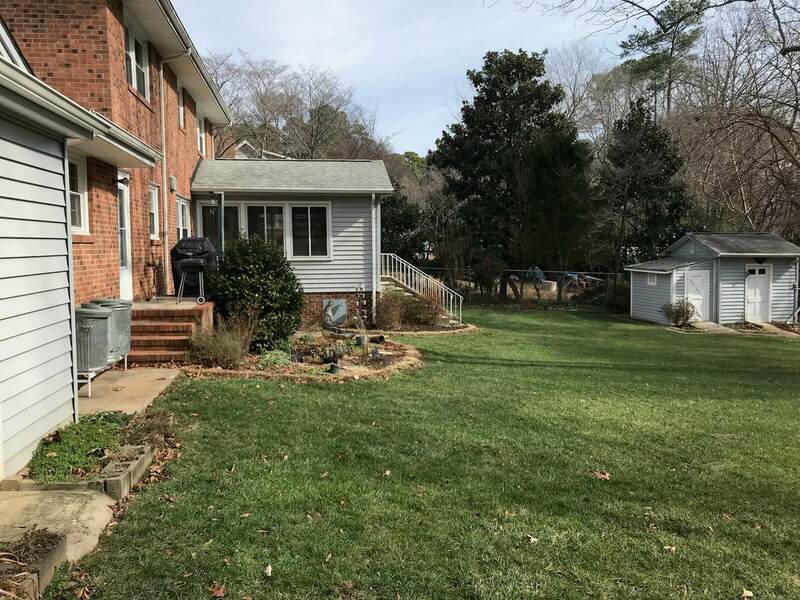 Wouldn't you enjoy having your own backyard retreat, complete with a patio, picnic table and any other amenities your heart desires? 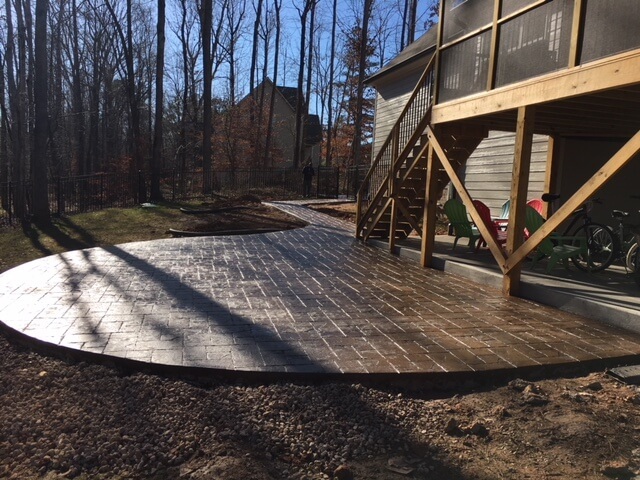 Stamped concrete is a modern marvel. This amazing material can mimic the look of brick, slate, cobblestone, wood or natural stone tiles, at a price point that's far more attractive. 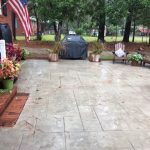 For the homeowner who wants a landscape designed for royalty, but is working with more of a commoner's budget, a stamped concrete patio is an ideal solution. 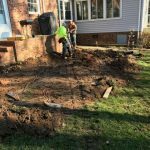 However, even many ultra affluent homeowners are choosing stamped concrete patios over brick or natural stone -- not just because of the cost savings, but also because of the numerous other benefits this versatile material has to offer. 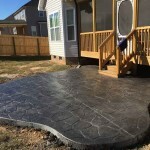 Stamped concrete gives you unlimited design possibilities, which is one of its many advantages. 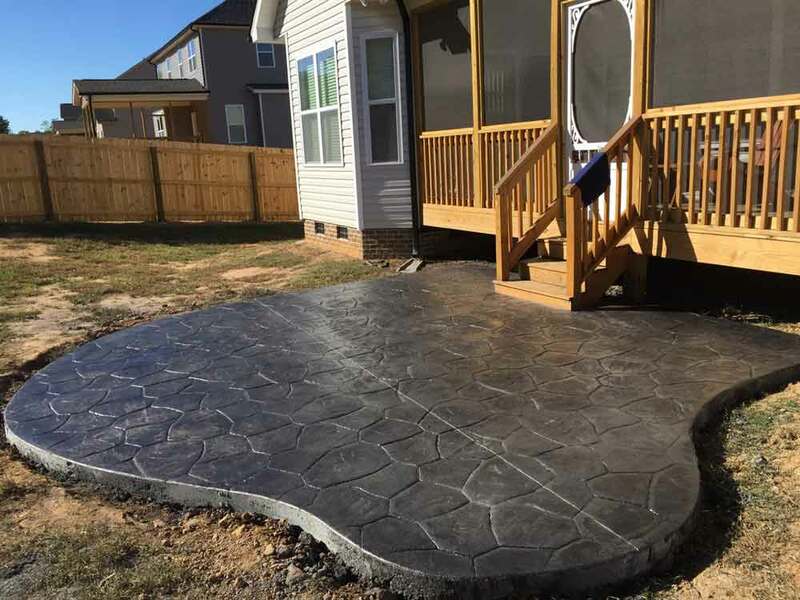 With a wide range of styles and colors to choose from, a stamped concrete patio can complement any home exterior design flawlessly. 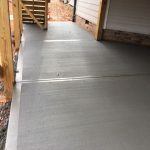 If you'd prefer to install a patio that's simpler in both design and appearance, a concrete slab patio is an ideal choice in that situation. 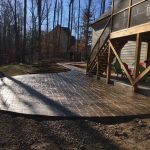 Keep in mind that simple doesn't have to be boring; concrete slab patios can be more artistic and beautiful than you might think. 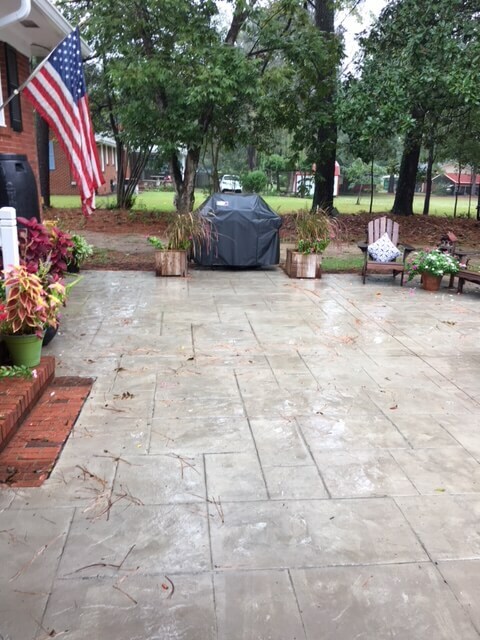 Concrete Patio With Porch -- Are you picturing a patio and porch area that harmonize beautifully? We can make that idea a reality for your family. 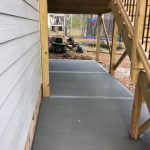 Concrete Patio With Staircase -- Maybe you need a stairway connecting your back door and your patio seamlessly. 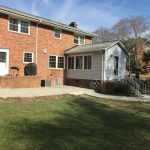 This is a convenient option for many homeowners. 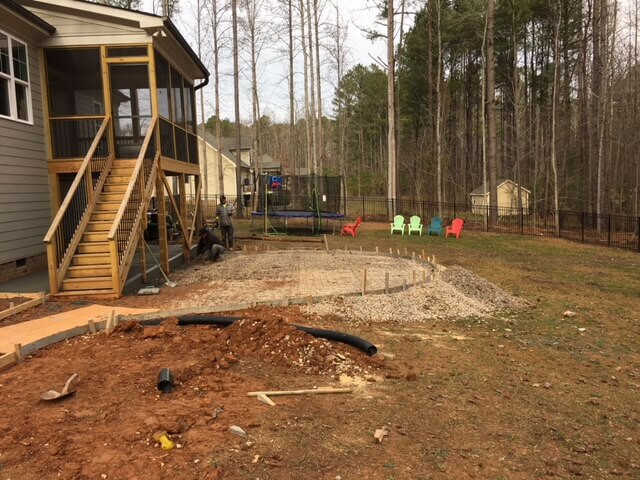 Concrete Patio With Fire Pit -- Who wouldn't enjoy having a fire pit area for toasting marshmallows, and gathering with loved ones around the fire? 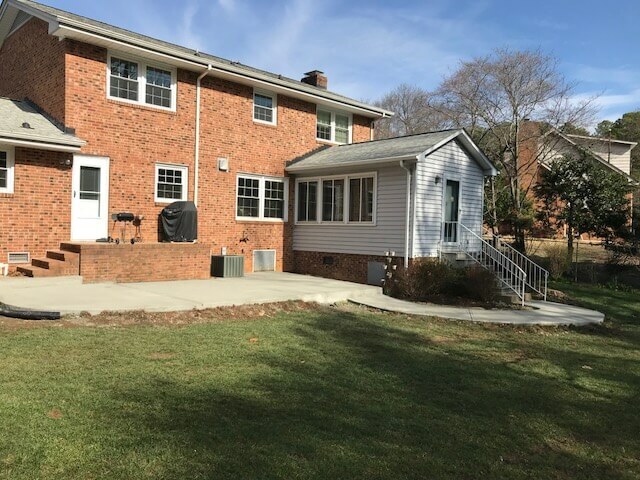 Concrete Patio With Outdoor Kitchen -- You could enjoy a complete backyard retreat furnished with outdoor bar, kitchen island, barbecue, sink and other amenities -- everything you'd need to throw a great party, or simply enjoy yourself at home relaxing with your family. 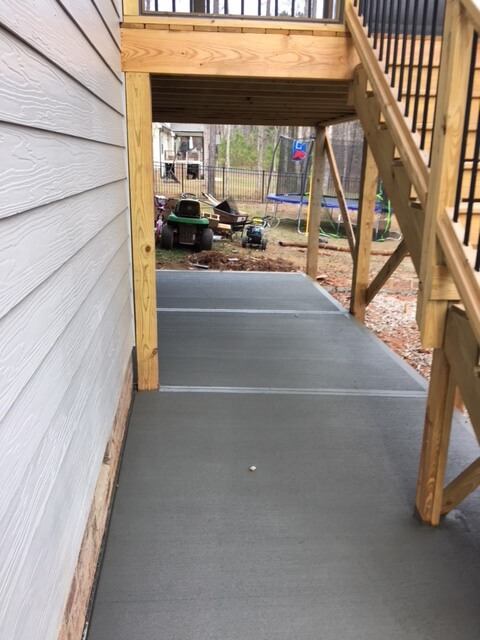 When you're installing a new concrete patio, it's important to get the color scheme just right. 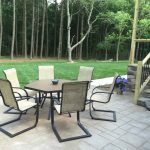 You want the patio to look like a natural extension of your landscape, and it should coordinate harmoniously with the look and feel of your home exterior. 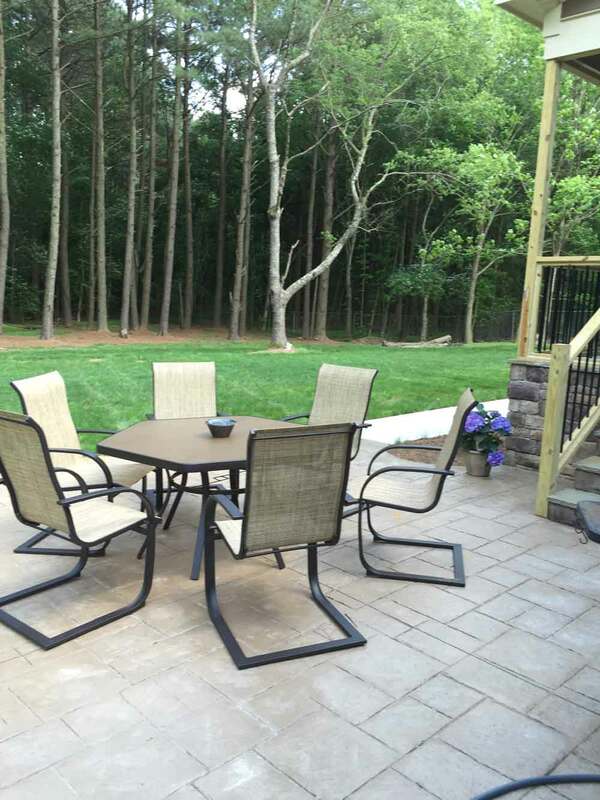 We've got you covered when it comes to concrete patio color choices. No matter what colors your home exterior is, our extensive concrete color palette includes choices that will complement it perfectly. 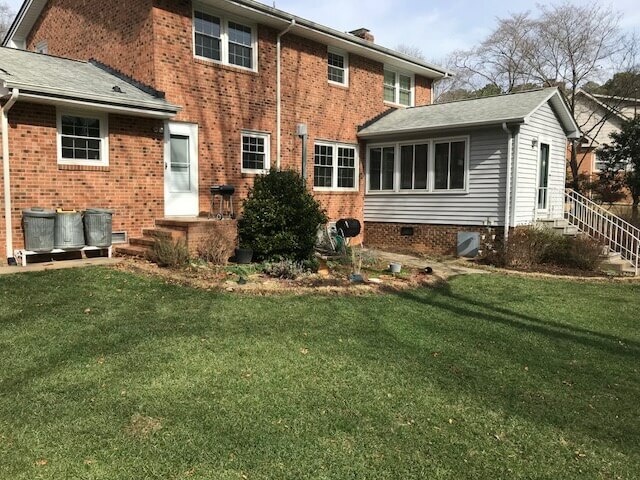 Whether you want to get creative with your patio color scheme or keep things really conservative, either way we're confident you'll be pleased with the color selection we offer you. 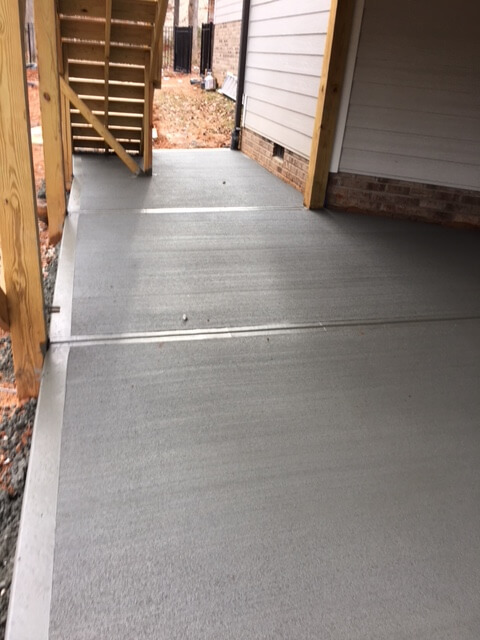 Concrete is practical and durable. 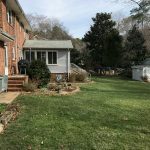 It's impervious to our notoriously humid summers, and it also withstands rain and winter weather exceptionally well. 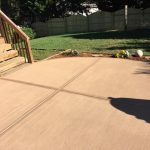 Concrete is easy to clean, and doesn’t require any special skills to maintain. 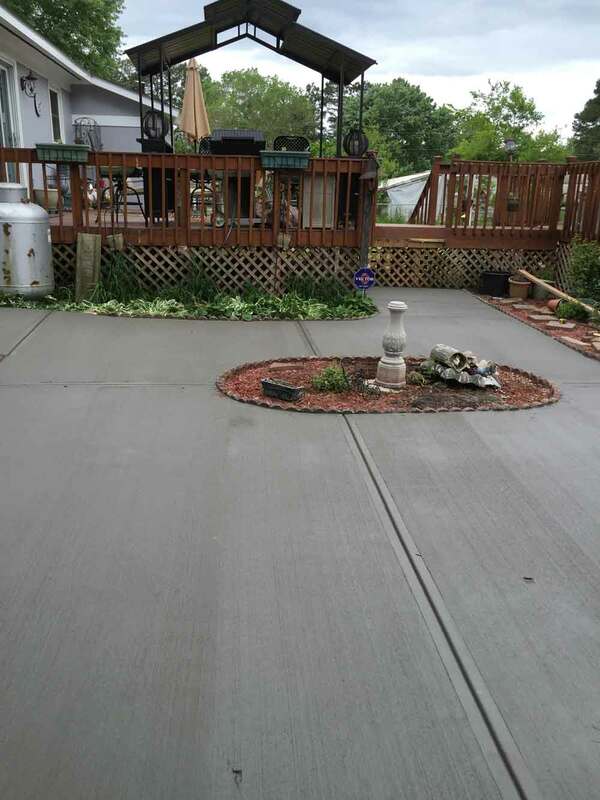 Concrete is cheap, yet it offers outstanding value for the price. 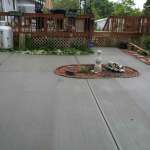 Concrete offers you a wide range of custom design options. It can be colored, stained, dyed, painted, stamped, coated or treated with overlays. 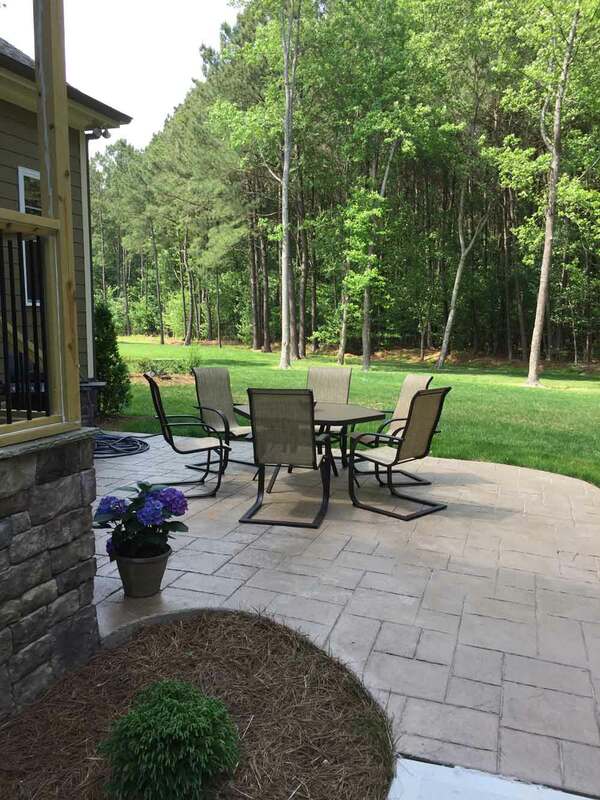 Homeowner associations generally recognize concrete as an acceptable building material for use in backyard patios. 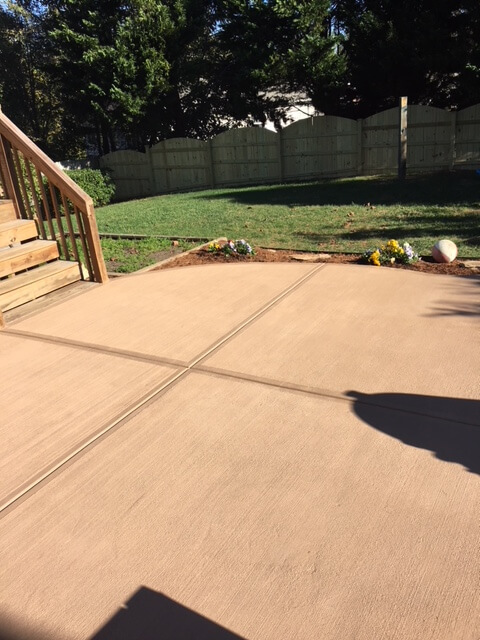 As part of a well-designed landscaping project, a concrete patio can add significantly to the resale value of your home. 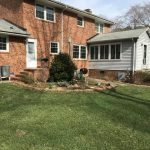 In the past, home buyers have consistently been willing to pay higher prices for homes with attractive patios and landscaping. If you're located in North Carolina or Southern Virginia, let's talk soon. 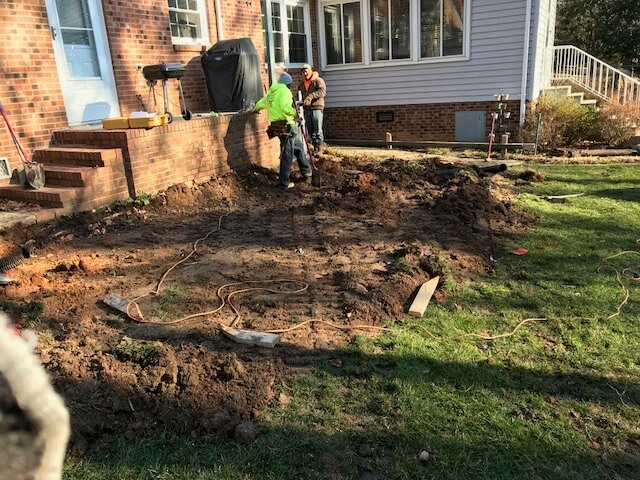 We'd be delighted to discuss your ideas for sprucing up your backyard and getting a brand new concrete patio installed. We invite you to pick up the phone and give us a call at 919-454-3927. We'll get you a fast, reliable estimate as soon as possible. We look forward to hearing from you.